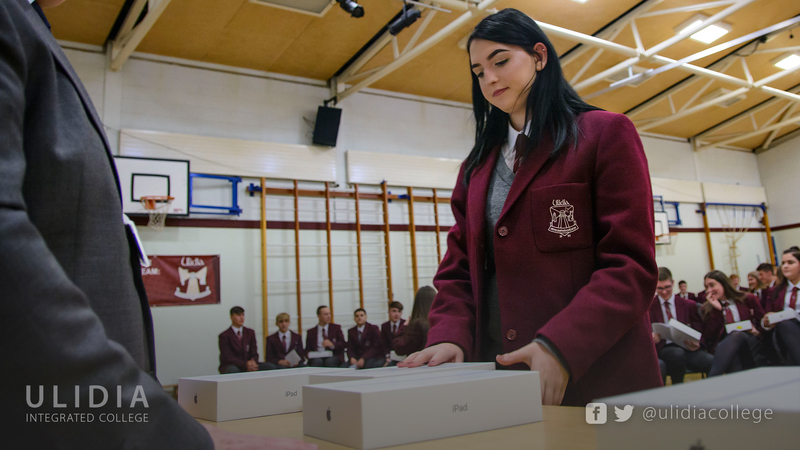 Every 6th Form student at Ulidia Integrated College received the latest generation iPad today to support their studies both at home and school. 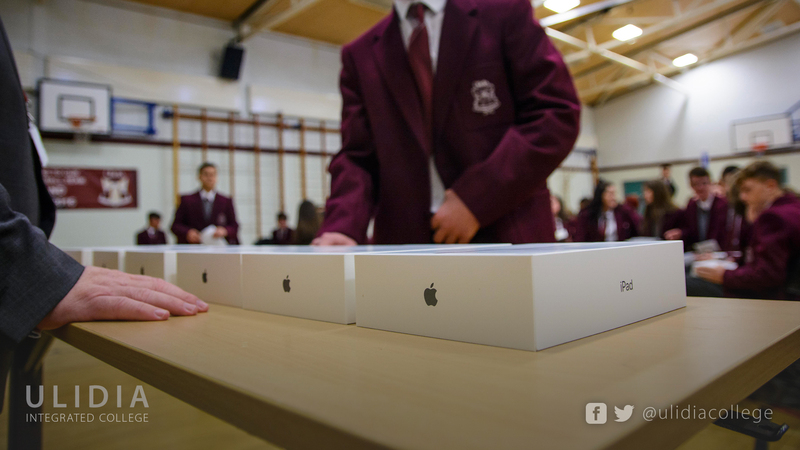 The iPads will sit alongside the traditional textbooks and exercise books; they are not intended as a replacement. 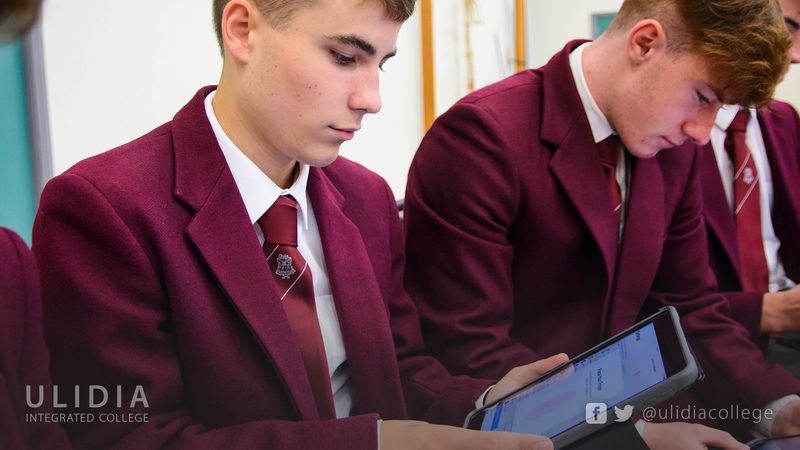 The purpose of the initiative is to make students’ study time more efficient, autonomous and engaging – whilst relieving pressure on the IT infrastructure to allow wider IT provision throughout the school. 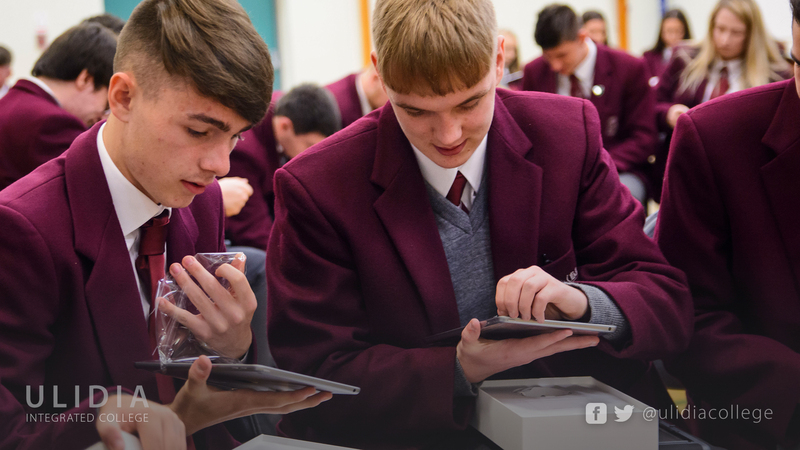 The philosophy for investing in the iPads to facilitate the ‘Learning for a Digital Life’ scheme is to ensure equality of access to the internet at school and at home, to prepare students for working and living in a digital age; to support self-led research and problem solving; to improve the quality of feedback, home-learning and collaboration; and to provide new and innovative ways for students to learn. 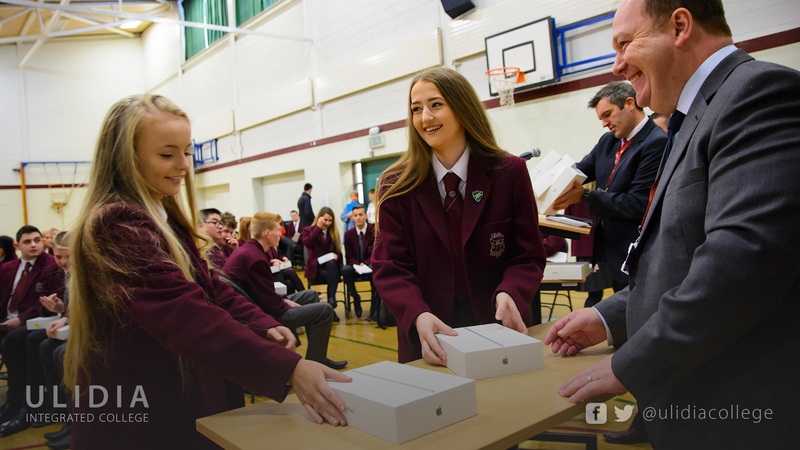 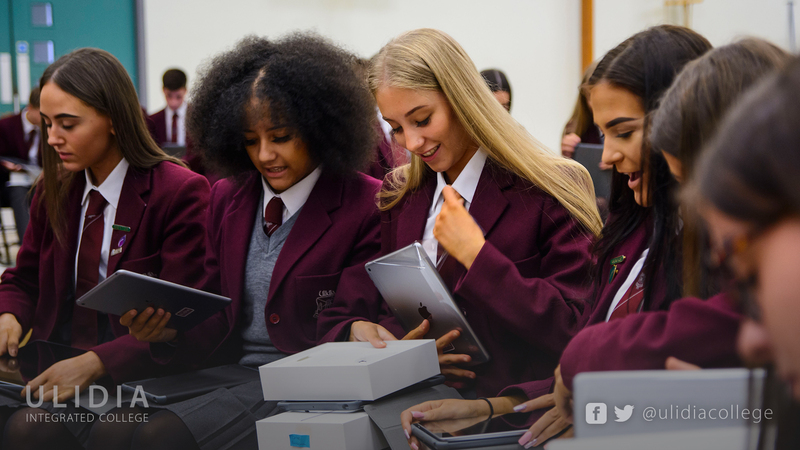 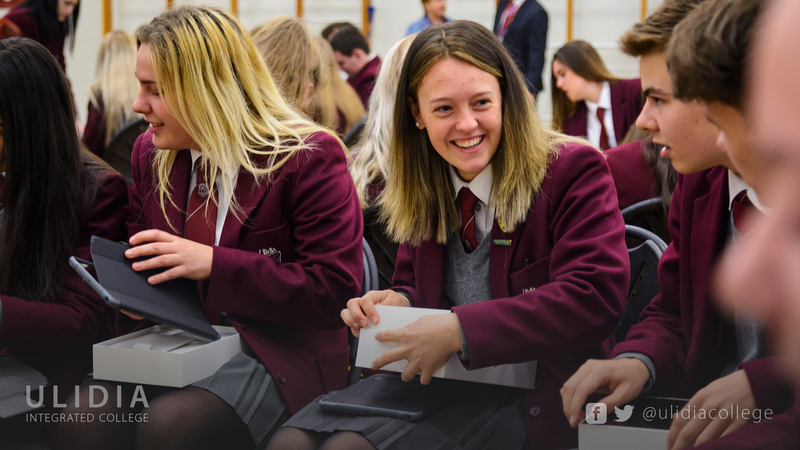 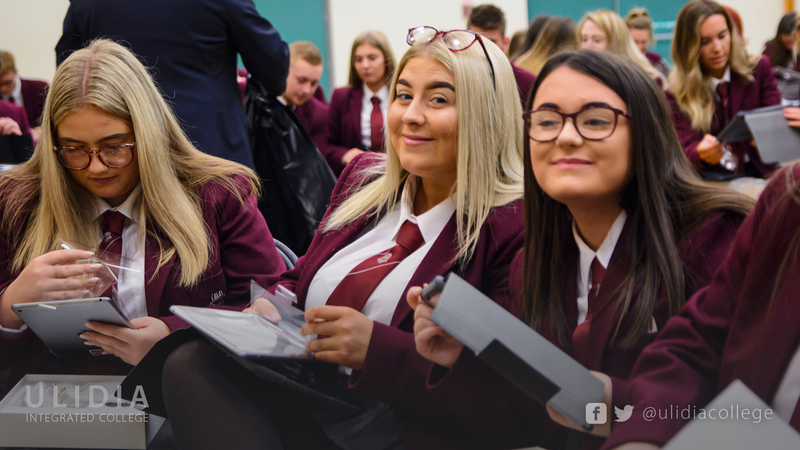 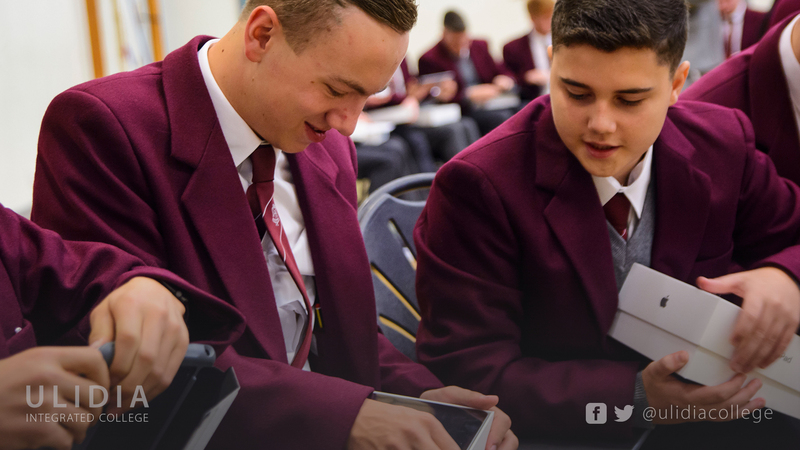 Dominic Barnard, Head of ICT at Ulidia Integrated College said: “The iPads will dramatically change the way our sixth formers work and will enable our teachers to create a collaborative, dynamic, creative and contemporary education experience for our learners. 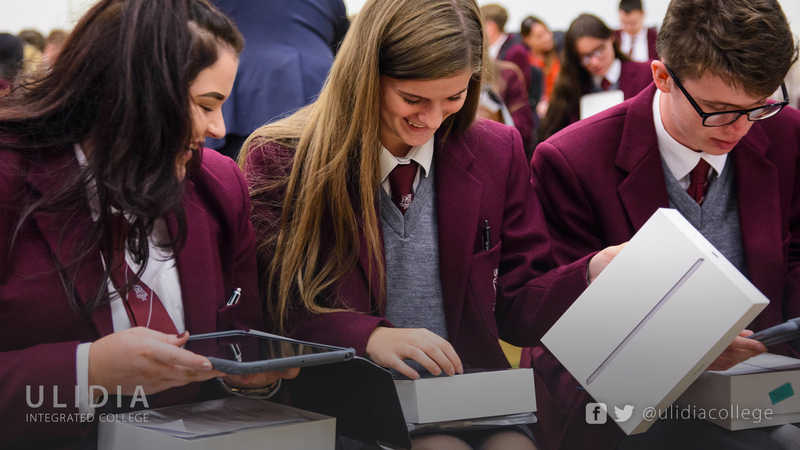 I am proud that our sixth form are at the cutting edge of technology and the devices will complement our whole-school shift to cloud-based learning.